Products - Website of metron-md! Metron-MD is human medical imaging software including chiropractic and podiatry. Metron features world class imaging algorithms, calibration and measurement tools, multi-image stitching, report generation, full DICOM compliance, and more. 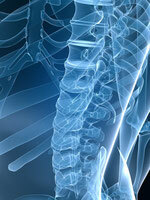 Advanced imaging software designed to assist the Chiropractor with diagnosis and treatment of the spine. Advanced imaging software designed to assist the Podiatrist with diagnosis and treatment of the foot.